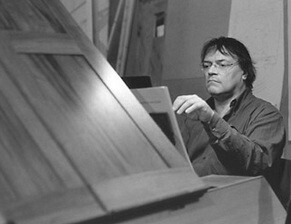 “For me Stockhausen and Messiaen is early music.” Now there’s a provocative statement, but then Jos van Immerseel has been provoking a response on and off for 40 years now. The Belgian early music pioneer [ … ] is talking to me over the phone from Mexico City where he’s appearing with his period band Anima Eterna, a truly globe-trotting phenomenon. These days he’s as likely to be found applying his mind to ‘authentic’ Ravel and Janáček as he is to be playing Mozart on his beloved fortepiano, but this questing musical personality has never forgotten his roots, nor the catalysts that launched him on a collision course with the music of the late baroque and the classical era. “I didn’t start with early music, that came later,” Van Immerseel admits. Starting out as a piano and the organ student in the 1960s (the maestro turned 70 last year), up until the age of 18 he played what was considered normal repertoire before heading to Antwerp for further studies. But then it all changed. “I was a little bit shocked in the conservatory,” he explains. “In the piano class we ignored the style and specific character of the repertoire. We played Bach exactly the same way we played Rachmaninov. Study with the great harpsichordist and musicologist Kenneth Gilbert initially saw Van Immerseel winning accolades as a keyboard specialist. “I tried to find very historical harpsichords and to study this instrument to see the possibilities and the limits”, he tells me, but soon his ambitions led him further into the field of original instrument practice and orchestral music of the 18th century. Beethoven changed so much about the way we think about the symphony today – not just the structure and purpose of the music, but the size and makeup of the orchestra as well. Over a period of 25 years he transformed music in his time and that should all be evident as the Anima Eterna orchestra expands in terms of number of players across the cycle [ … ]. Early on, Van Immerseel took the idea of playing in historically informed style on instruments of the period and applied it to Berlioz, Schubert and so on up to Brahms. In recent years he’s gone even further recording Orff’s Carmina Burana as well as Dvořák, Poulenc and Ravel. “We played Ravel on French instruments and the sound is completely different compared with what you hear normally,” he enthuses. “ It’s much more transparent and there are more colours. Playing this music on the right instruments you understand the music better. You see why a composer writes such a timbre, such a motif, such notes, such a compass and that’s really difficult to find out if you play all the music from the past on the same instruments – that’s not logical! Listening to his often-pugnacious analyses, there’s definitely a touch of the evangelist about Jos van Immerseel. His philosophy is all embracing and distinctly catchy. “I like to compare a piece of music with food or with a kitchen,” he proselytises. “If you are an admirer of the Japanese kitchen, then you try to find a restaurant with Japanese food and with Japanese ingredients and not, for example, Italian ingredients. If you like an Italian kitchen then you do the opposite. In art it’s absolutely normal that if you have a picture by Van Gogh or by Caravaggio restored, then the restoring method is completely different. It’s the same in architecture and literature and so on. Only in the music do we play all the music on the same instruments. It’s stupid – sorry – but it’s stupid! And as he boldly goes, does he see an end point? Will we be hearing period Messiean and Stockhausen in the future? “We do Messiaen next year,” he declares. “Stockhausen, I don’t have a special feeling with this music, personally. So for the moment no Stockhausen …” Shame. This article was originally posted by Limelight Magazine, Australia. This edited version is reprinted here by permission.